DTM celebrated Women's History Month throughout the month of March, corresponding with International Women's Day on March 8. March was Women’s History Month in the U.S., a recognition long overdue, but one we celebrated with pride at DTM. 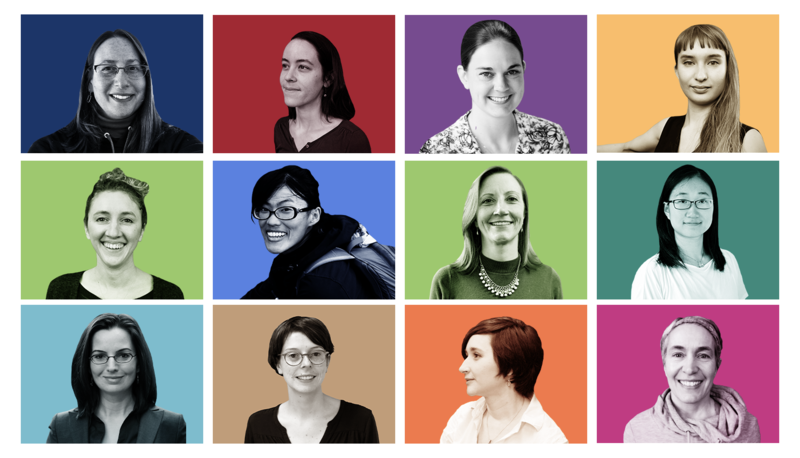 Of the 109 postdoctoral fellows we have hosted at DTM since 2003, 53% of them have been women. Our scientific staff currently is 28% women, so we have a way to go before we reach an equitable gender distribution on our scientific staff. We are working in that direction with 3 out of the last 5 hires to the scientific staff being women. As recognition of the important role women play in the research at DTM, Roberto Molar Candanosa has been running a social media campaign highlighting the science of both our current group of female scientists, and also a look back at the major contributions from our most famous female staff scientist, Vera Rubin. We clearly are not the only ones who are enthusiastic about the role of women in science, as several of the Facebook posts have received many thousands of “likes.” Granted, this level of response isn’t in the same league as famous personalities from politics, sports, or entertainment, but for science social media, it is pretty darn impressive! We will continue highlighting the role of women at DTM on April 25 with Hélène Le Mével’s Neighborhood Lecture, “The gravity of volcanoes: using gravity data to probe magma reservoirs." Hope to see you there. Speaking of Neighborhood Lectures, last night both the Greenewalt Auditorium and the Tuve Dining Hall were filled to standing room only with our campus neighbors who joined us for a presentation by Carnegie Science President Eric Isaacs. Dr. Isaacs spoke about the balance of energy production and consumption and the goal of reducing the emission of greenhouse gases. The problem is fascinating because, like many areas in environmental management, the solution to one problem exposes other problems. One example he presented is that though electric cars produce no greenhouse emissions on their own, when plugged in to recharge, one has to count the emissions produced by the power plants producing the electricity. If those power plants are carbon-free, such as solar or wind, then the switch to electric cars would create a large reduction in CO2 emission as transportation is a major contributor to global CO2 emissions. On the other hand, if the electricity for recharging is produced by coal-burning power plants, the CO2 emission reduction compared to traditional internal combustion powered cars is minimal. 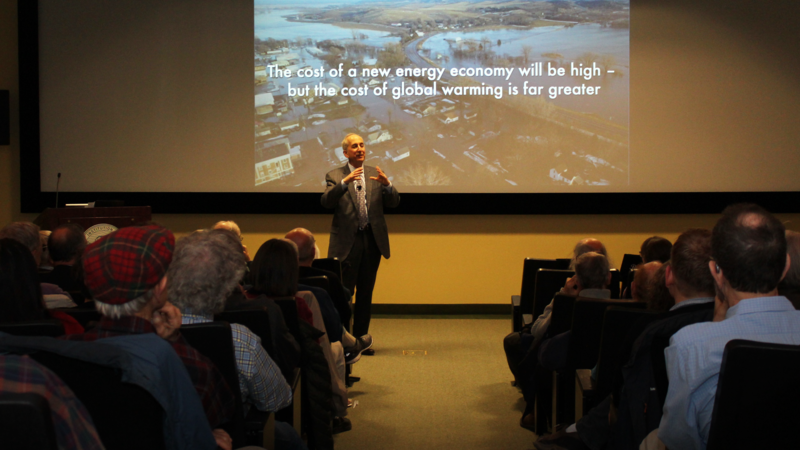 Dr. Isaacs concluded by pointing to the work of our colleague Ken Caldeira at Carnegie’s Global Ecology Department that examines both the supply and demand side of energy consumption on the path to “Net-Zero” emission. For those interested in events occurring off of Earth, the last month has offered a number of exciting events from the asteroid belt. Close up imaging of two asteroids, Bennu and Ryugu, by spacecraft currently orbiting them show the asteroids to have surprisingly similar pyramidal shapes. The shape suggests that they are both fast spinning rubble piles gravitationally held together, but with waistline inflation reflecting the rotational forces accompanying their high rotation rates. The Hyabusa2 spacecraft, flown by the Japan Aerospace Exploration Agency, is currently in orbit around Ryugu. DTM Staff Scientists Larry Nittler and Conel Alexander are members of the Hyabusa2 sample analysis team. The spacecraft recently performed a successful touchdown on Ryugu's surface, kicking up a large spray of material as it jetted off the surface and leaving its shadow behind as the spacecraft rose from the asteroid. Hopefully, a good portion of this material was collected by the spacecraft so that it can be returned to Earth in 2020. As a preparatory step for the sample analysis, we are hosting Dr. Tetsuya Yokoyama of the Tokyo Institute of Technology the latter part of this year. Dr. Yokoyama will be working with us on the development of chemical separation and mass spectrometry procedures to get the most compositional and isotopic information out of the smallest amount of sample. Given the amount of material kicked up when the spacecraft left Ryugu's surface, we hope to receive a treasure trove of material to investigate the earliest history of our Solar System.